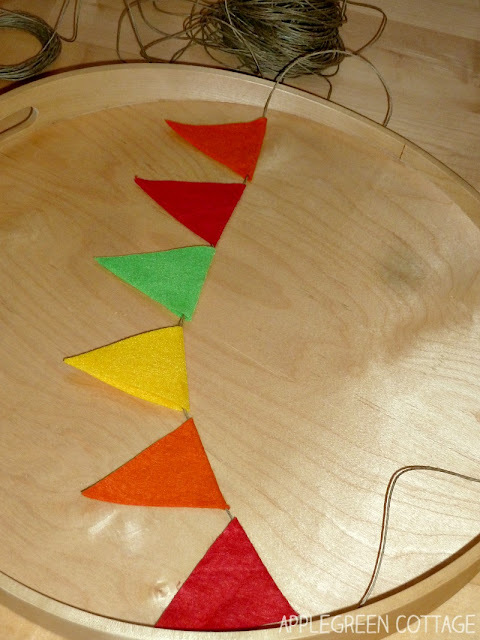 Welcome the first day of school by making an easy, no sew felt bunting. It will bring a sense of festivity into your home and your kids will feel it's a special day. 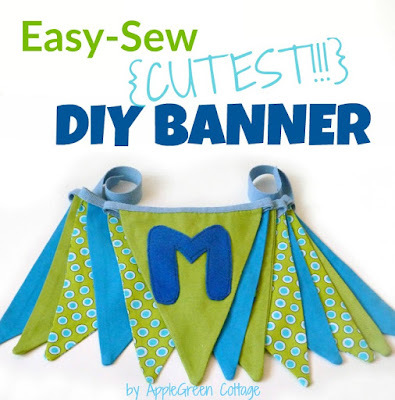 After I made a double sided banner and turned it into a tutorial (with a free PDF template!) a while ago, I also wanted to give a no-sew version a try. It was made really, like really quickly. 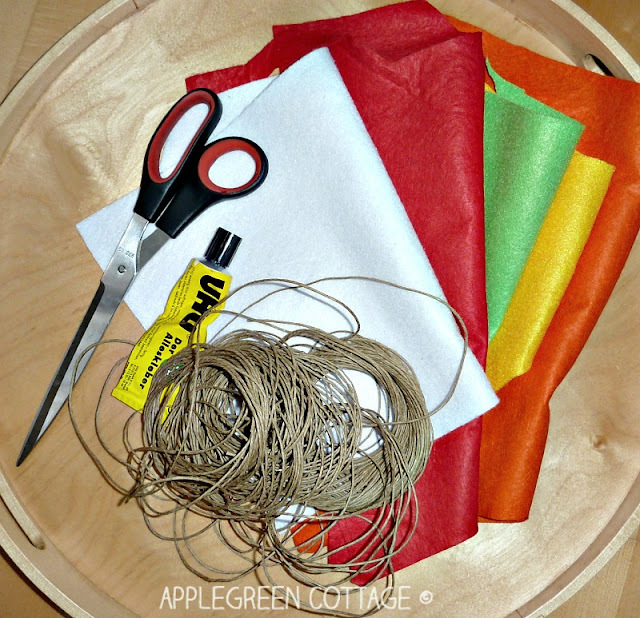 A fun family crafting activity, too! If this isn't the easiest thing of all I've ever done! Really, it's easy to make. 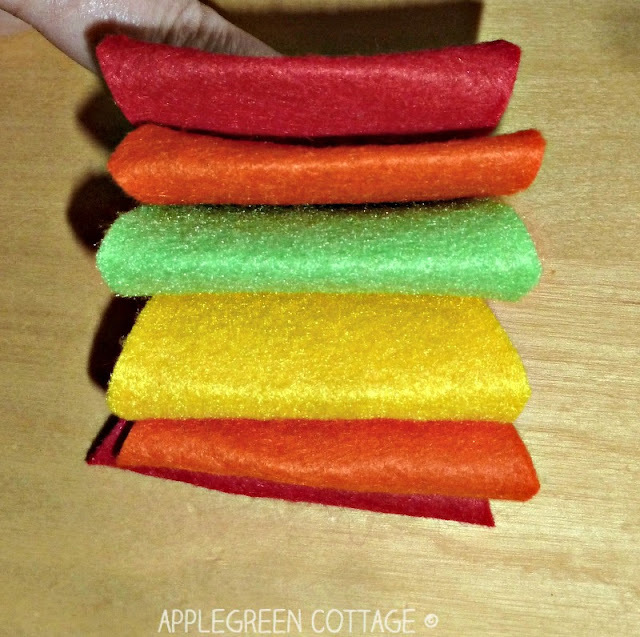 All you need is a few felt scraps, glue and a piece of twine. 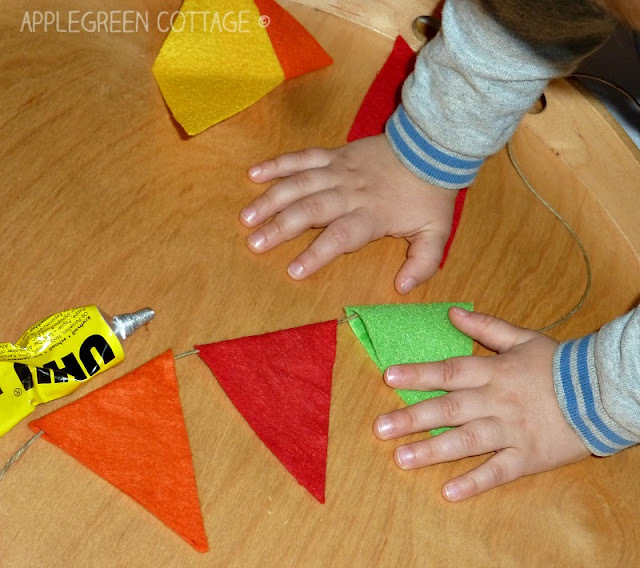 If you are lucky to have a backyard, hang the felt bunting outdoors and play fun games as a family. Like this painting activity using home-made paint brushes, or this back-to-school fun activity with pebbles. (Spoiler alert: no cleaning afterwards needed!} It will be a day to remember, and a perfect kick-off to the school year. What do you say, are you in? 1) Gather your materials. Easy! Scissors, glue, twine and felt. Done! Here, you might want to ask yourself what felt to use. This is one of the few projects where ANY type of FELT will do. Lucky you! However, if you want to find out more about felt, you can check out my post on how to choose the right felt for your creations. However, no matter where you get your felt, it's good to check thickness, material and stiffness before buying it! Now, back to the how-to! 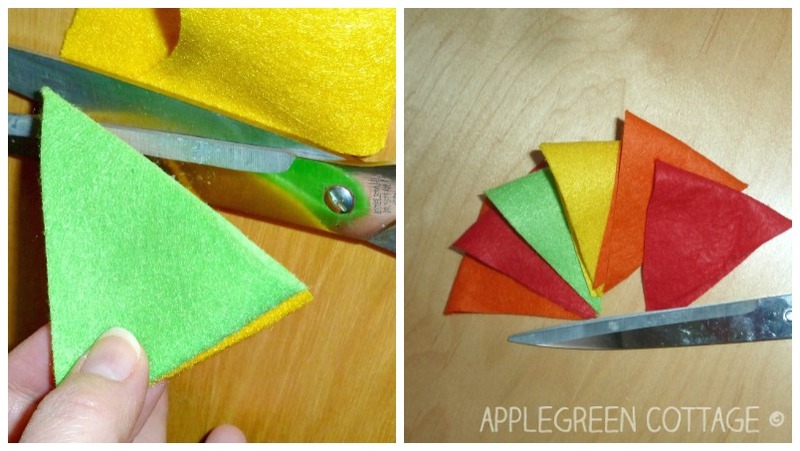 2) Fold a piece of felt and cut a triangle from it, meaning you've just cut out a RHOMBUS. See the image above. Easy! 3) Use the first (still folded) piece as a template to cut more of same-size triangles (that is, folded rhombuses). 4) Stop when you feel there are enough, depending on how long you want your bunting to be. I only needed 6 pieces. 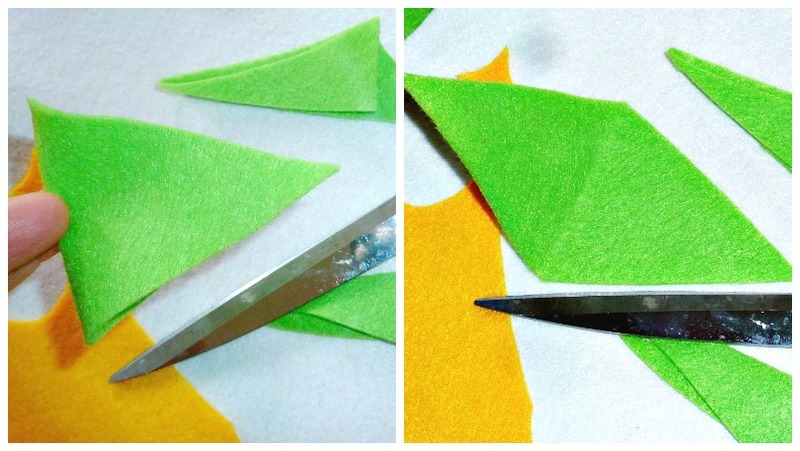 6) And fold the other side of the rhombus over the glue. 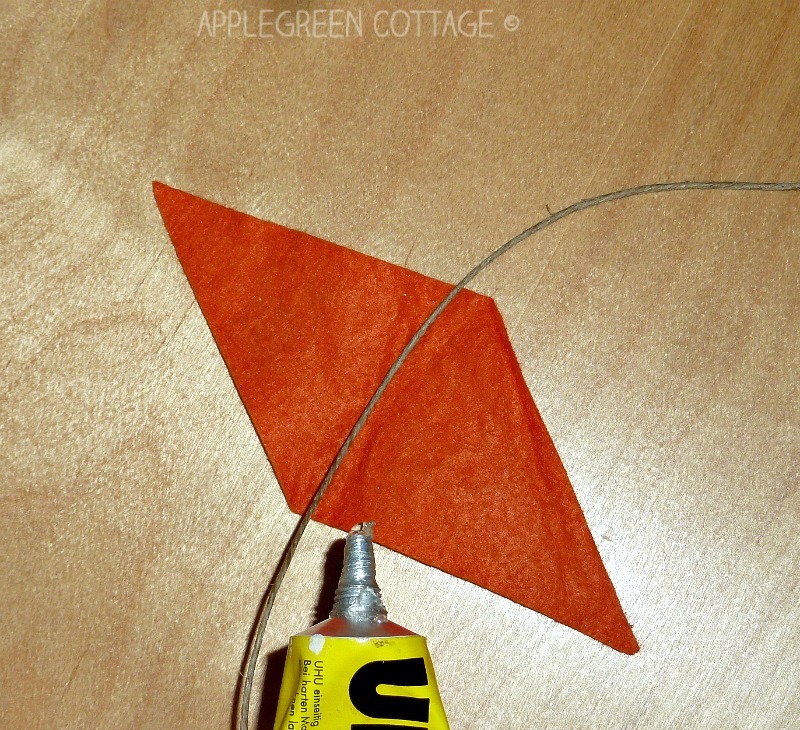 This way, you'll get a triangle with twine right through the top side. Even small children will love the folding process! 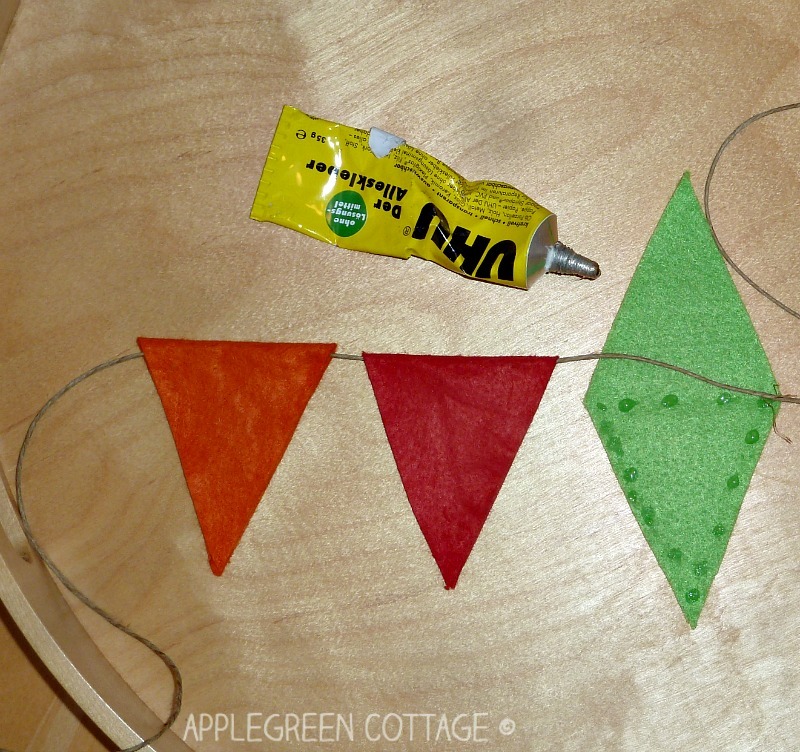 7) What you get is a cute, no-sew, colorful bunting to use for a first day of school. Or for any day you want to make special, actually! Welcome, first school day! 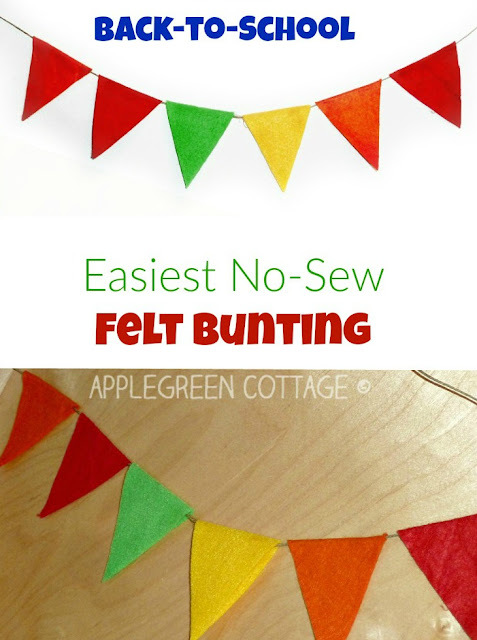 Nothing says this better than a cute & colorful bunting banner. Happy crafting! 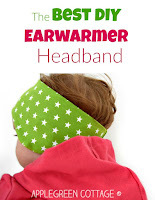 Want More Free Tutorials and Patterns? 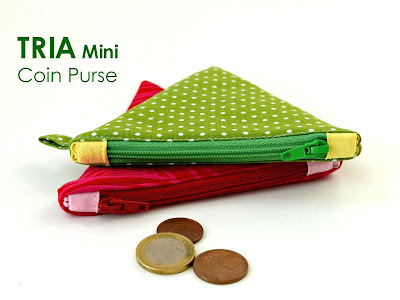 If you like sewing cute little things, you'll LOVE this one!